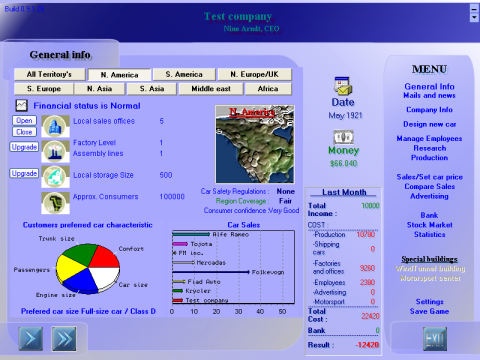 The Carbiz Game is a Business Simulator. You start a car manufactuering company as early as 1920. 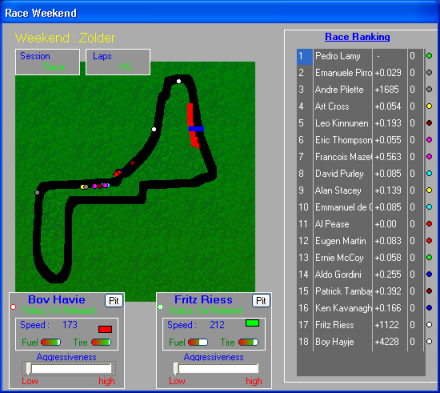 Your company can compete in sports Racing. You can buy stocks, Play scenarios and much more. Your goal is to become the most successfull car manufacture of the world. 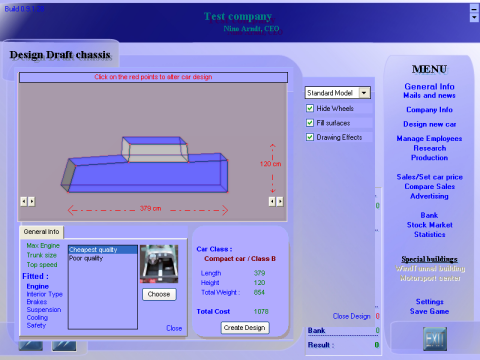 Semi 3D FreeMode Designing cars. Stockmarket. Buy and sell stocks and buy out your compertition.